1. Top each tortilla with mixed greens. 2. In a medium bowl, combine mayonnaise and lemon juice; blend well. Add the remaining ingredients and toss together. 3. Divide the turkey salad among the 2 tortillas. Fold the bottom 2 inches of the tortilla onto sandwich filling; roll from side to side and serve as an open ended sandwich. 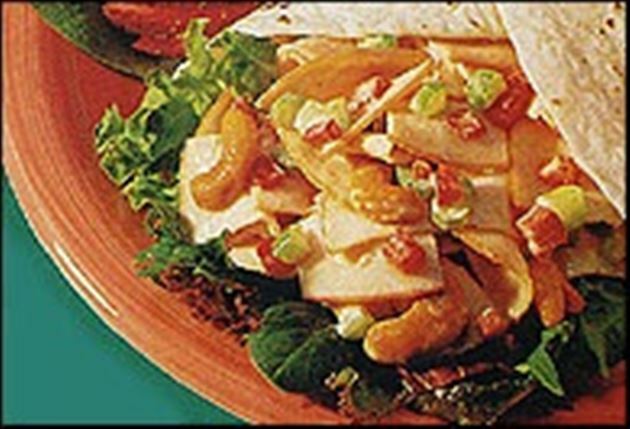 Enjoy this delicious turkey cashew salad sandwich Mexican recipe!